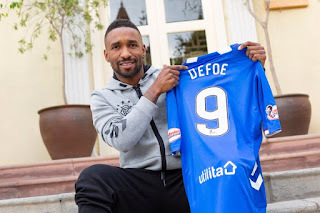 Steven Gerrard has dropped his strongest hint yet that a partnership of Jermain Defoe and Alfredo Morelos is to be his main choice of formation and the days of one up top may be on their way out, or at least a secondary option moving forward. Speaking after today’s friendly win over HJK, Gerrard slightly contradicted his Thursday presser in which he said Steven Davis and Jermain Defoe would be involved ‘at some point’ by admitting in fact today both of them were going to start that match instead. Which of course confirms, coupled with the fact they both started this afternoon along with Morelos that Gerrard’s main formation choice does appear now to be 4-4-2. We did posit the conundrum of how exactly Stevie would accommodate Defoe given his preference for one up top and the presence of star player Alfredo Morelos – well we appear to have an answer now. Of course slack is given to the notion that formation can be fluid and Gerrard won’t hardline stick to one formation every match regardless of available personnel and opponent system, so we are by no means suggesting Rangers are now 4-4-2 and that’s that. And there were claims that today’s formation was actually 4-3-3, but we’re not really sure how Morelos and Defoe can play together in that shape. But Stevie’s concession both new signings would have started at the weekend as well as the reality both started today does force the conclusion that Morelos will now have a new buddy to help take the weight off his back and more often than not they’ll be doing it together. Unless, that is, something changes. I thought Kent played more central today with the option to roam and get on the ball. Played there just behind Morelos and Defoe does give us a kind of 4-3-3, or maybe more accurately 4-3-1-2. Could work well and might even bring more goals from Kent. It does sacrifice a bit of width and we would be very reliant on full backs getting forward. May not be a bad thing. I was a getting a bit fed up watching us playing umpteen passes to get the ball wide just to put in rubbish crosses for 1 or 2 players in the box. A faster more direct approach might get us better results. It's clearly daft to comment on formations or potential partnerships after one friendly but I sincerely hope that to accommodate Defoe Gerrard doesn't push Alfie out wide. At times against the Fins it looked like Morelos wasn't the central target that he has been so effectively all season. Whatever happens Alfie is our main man no matter what Defoe has done in the past or how much he is getting paid. Whatever formation Gerrard decides to play, Morelos's name as our main striker has to be the first on the team sheet. I thought the lack of width in the first half really held us back and Kent was at his most effective on the left wing rather than sitting more centrally. It's not obvious how Gerrard is going to use Defoe without at least asking Alfie to adapt to a wider role. Mind you I do have to admit Gerrard might just have a wee bit more knowledge about football than I have. He does, but equally you and we know more about Rangers and the SPL than he does. That's not arrogance, it's fact.